We're still weeks away from a probably HoloLens 2 release, but Microsoft's immersive computing team is still hard at work on other aspects of its "mixed reality" ecosystem. Earlier this week, Microsoft published a new extension for Unity and the Mixed Reality Tookit that enables developers to better replicate the natural lighting in augmented reality experiences on the HoloLens as well as via ARKit, ARCore, and on other AR platforms. Microsoft Mixed Reality Academy lead engineer Nick Klingensmith announced the release of the Light Capture tool on Twitter on Wednesday. Developers can access the open source tool via GitHub. The Light Capture tool builds a replica of the natural environment's lighting, called a Cubemap, based on pictures captured by AR devices relative to the device's position as it moves throughout the physical space. The tool then feeds the data into the lighting system of Unity to apply towards shaders used in the 3D models. Klingensmith noted that the tool works especially well on the HoloLens and other AR headsets with additive displays. 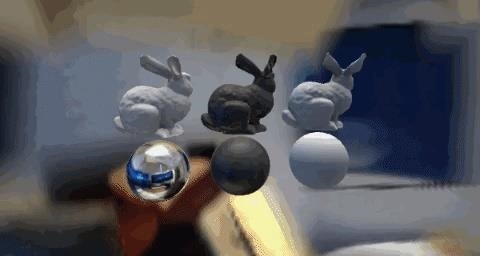 However, through the ARFoundation package for Unity, developers can also apply the tool to ARKit and ARCore apps as well. There are a few caveats, though. While the camera on the HoloLens is locked to a specific exposure to capture lighting changes more accurately, other devices do not, which may result in "muddy" lighting. Also, because the Light Capture tool uses the device's camera, it may not work simultaneously with other camera-based activities, such as Vuforia marker tracking or camera streaming via Mixed Reality Capture. Lighting is a crucial component when attempting to ensure that 3D content appears as realistic as possible in an augmented reality scene, so the new tool is a welcome advancement for both developers and end users alike.